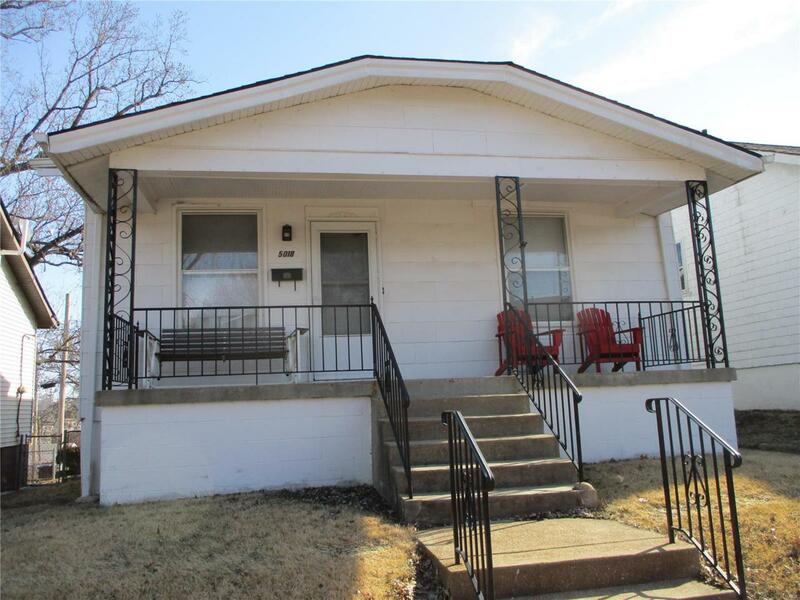 Immediate occupancy on this classic Bevo Bungalow, with covered front porch great to chat with neighbors! New flooring thru-out 2BR on main level and third bedroom on 2nd floor. Enjoy lower level rec room in walkout basement with washer and dryer staying and plenty of storage. Lovely updated kitchen has lots of white cabinets, range, and refrigrator. Lovely fenced yard with offstreet parking. It is a lot of home for the money on a quiet street.